The Tres Lagos Development has partnered with two award-winning builders that build energy-efficient, quality constructed, beautifully designed homes in the Rio Grande Valley: Esperanza Homes and Infinity Homes. Esperanza is an energy-efficient builder that saves 20-30% more energy than standard homes, which means lower utility bills for homebuyers. The Esperanza team is composed of award winning professionals in architecture, interior design, customer service and building specialists that are committed to every homebuyer looking to build their dream home with great customer satisfaction. Smart Home enabled features such as the UltraSync SmartHome system that allows you to control lights, locks and thermostats directly from your mobile phone. Energy efficient construction with Tyvek weather-resistant wrap, double pane vinyl windows, Icynene spray foam insulation and GE Energy Star appliances. Infinity Homes is Tres Lagos’ custom home builder with endless possibilities. 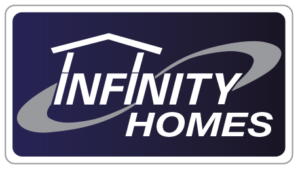 Committed to infinite customer satisfaction, Infinity builds energy-efficient, quality homes with exquisite craftsmanship backed by years of building industry experience.